Maybe it was hearing the news that boy band Arashi are set to call it a day at the end of 2020, or just the impending doom of a Monday morning, but the partner and I felt the need to put some ふわふわ into our Sunday evening. 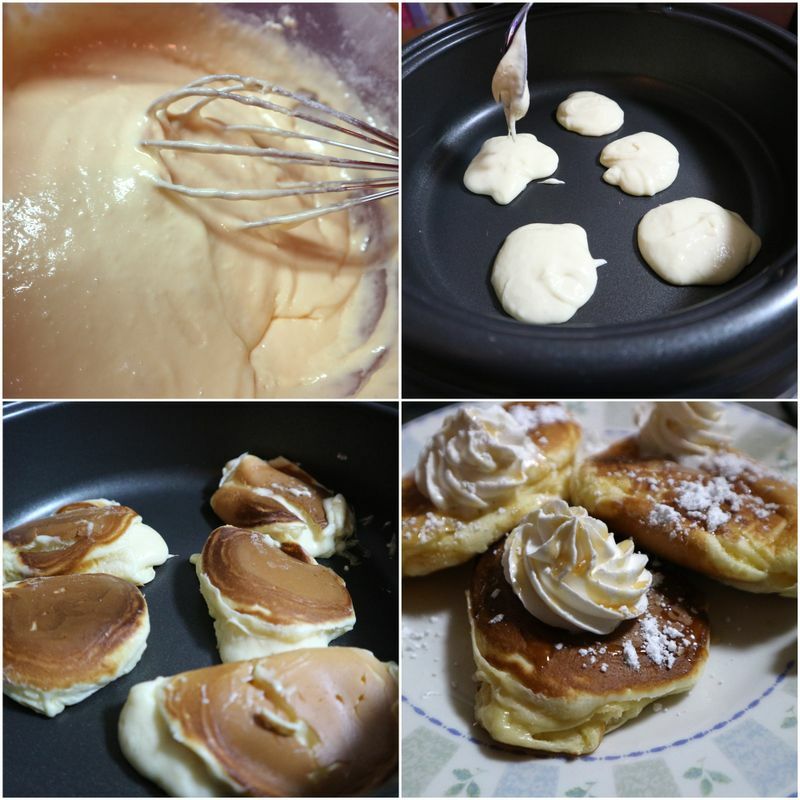 This we did by binging on ふわふわ fluffy pancakes. DIY ones. 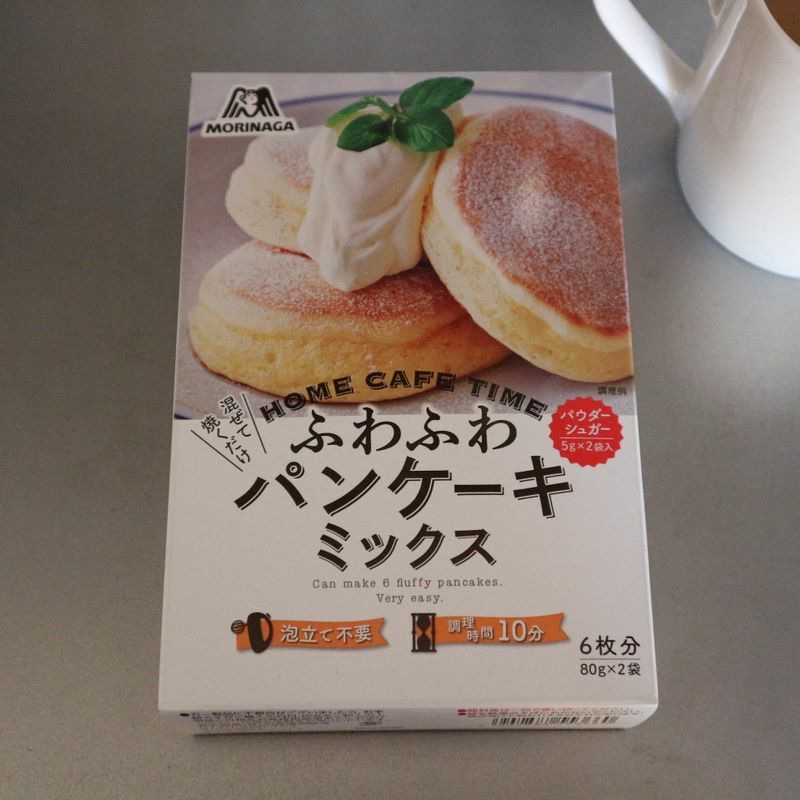 Above is the Home Cafe Time ふわふわ pancake mix from Morinaga that we picked up from our local supermarket for just under 300 yen. It contains two bags of mix and two small sachets of powdered sugar. It says you can get six fluffy pancakes out of the mix. We got about double that, so ours must have been a bit small. In addition to the mix you need two eggs, a drop of milk, and whatever fruits and creams you want to top the pancakes with. 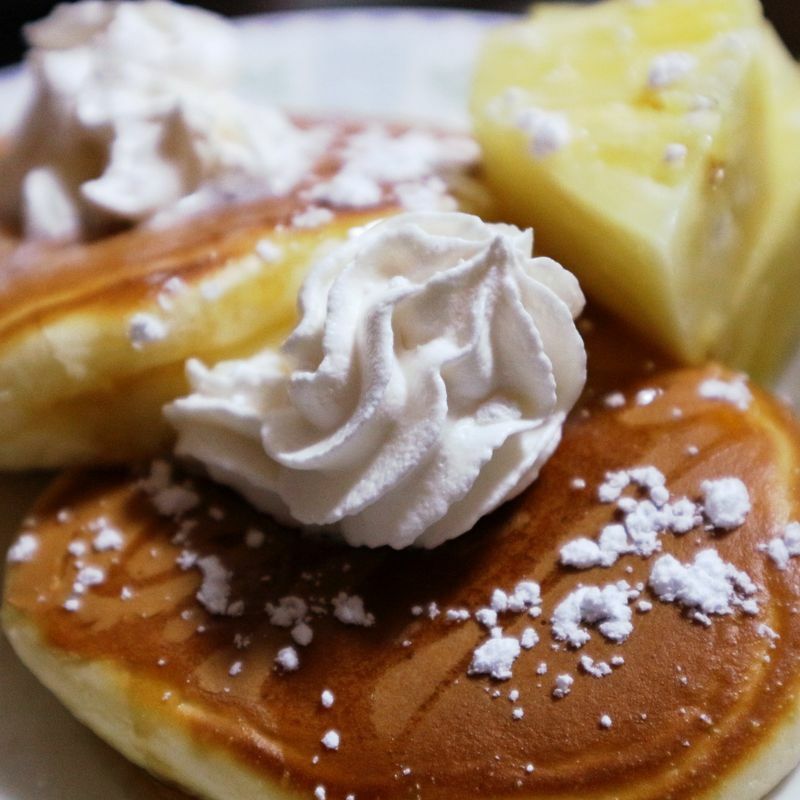 We used pineapple (whole - 250 yen), whipped cream (200 yen) and some syrup that has been in the fridge for a while. Standard pancake procedure really -- mix eggs and milk, then add pancake mix and mix thoroughly. We used the hot plate to cook. 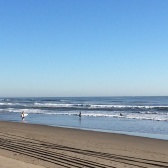 It makes things more communal. 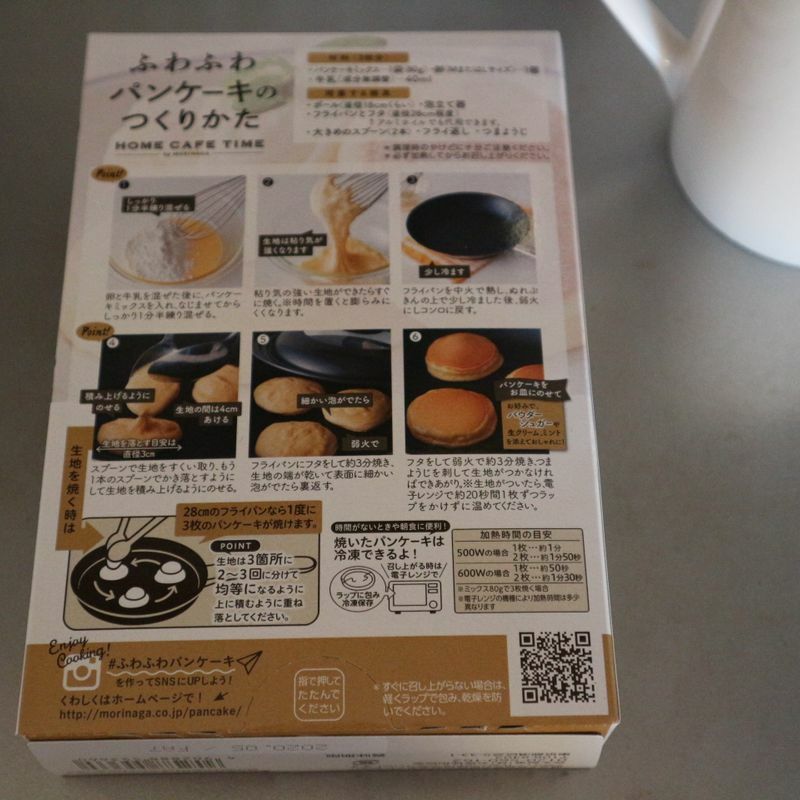 Ultimately, I think we were both pleased with our DIY ふわふわ pancake results. 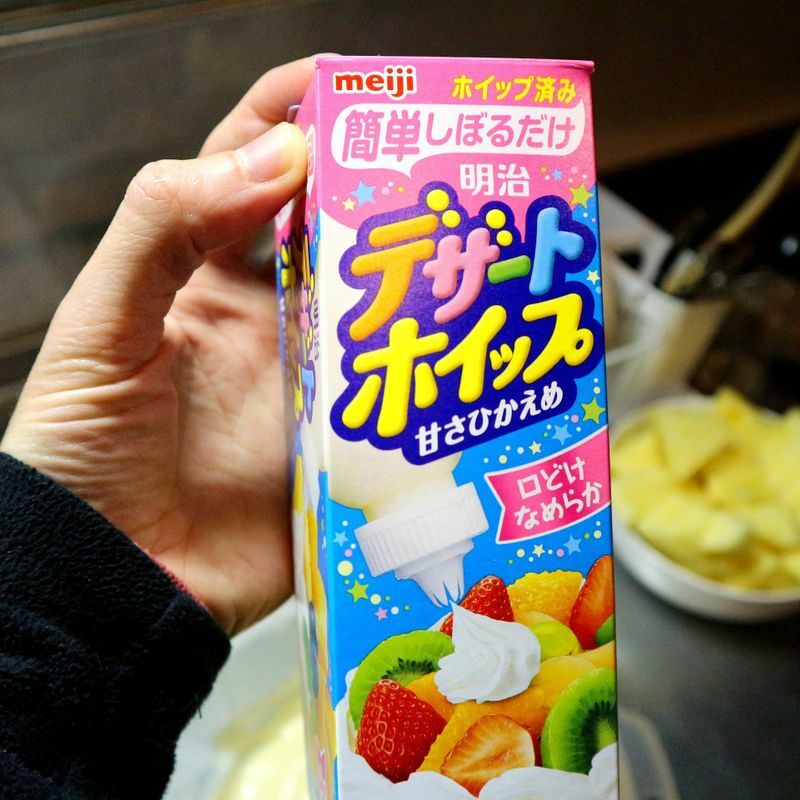 OK, so they don't have quite the ふわふわ or depth as you might expect at a cafe or restaurant but these DIY jobs are light enough, fluffy, and with the right toppings taste pretty fine. Cost-performance wise, I suppose we've spent a little over 1,000 yen between us going DIY. It sounds a little expensive to me, but is probably still cheaper than going out for ふわふわ pancakes.